Here’s my new favorite fall fix, slightly sweet with warming spices, with a tang of tomatoes and the savor of legumes. 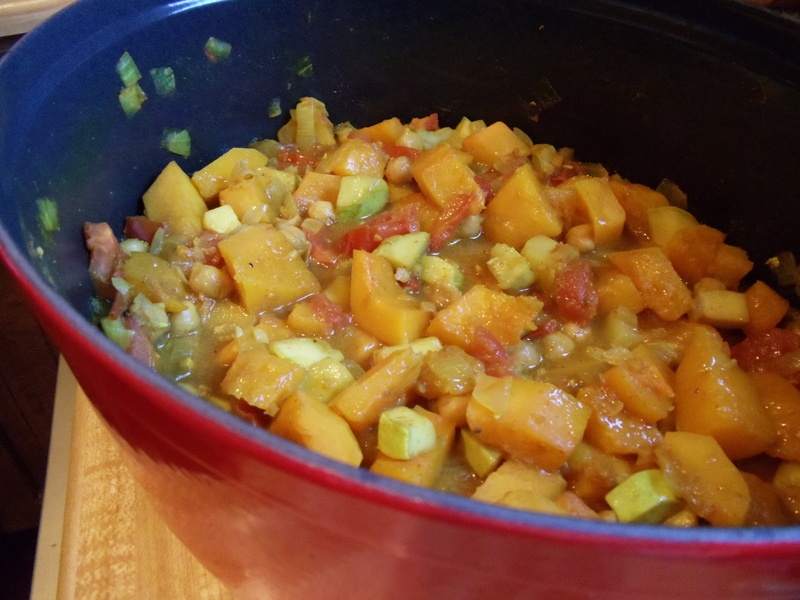 I’ve made this stew with sugar pumpkin, butternut squash, zucchini, and sunburst squash, with fantastic results, and can think of many upcoming variations with carrots, sweet potatoes, yellow crookneck squash, which makes this recipe a keeper, in my books. 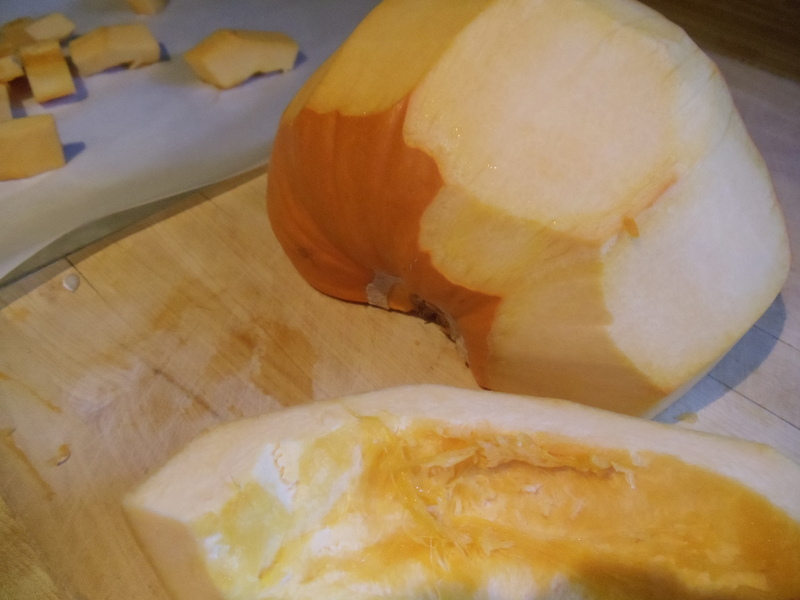 Peel the squash using a sharp chef’s knife, scrape out the seeds and cut into 1-inch chunks. You can save time by purchasingn pre-cut, packaged butternut squash. Heat oven to 350 degrees, and season winter squash with olive oil, salt and pepper. Roast in the oven until soft and slightly browned. Heat a Dutch oven over medium-high heat, and add a splash of olive oil. Add onions, garlic and ginger, and cook until slightly soft. Add spices, stir and cook until spices are fragrant, about 2 minutes. Stir in summer squash and tomatoes, season with salt and pepper, then cook for about 2 minutes, until vegetables are slightly soft. Then add stock, garbazo beans and roasted winter squash, bring to a boil and cook for about 10-15 minutes, until liquid thickens and consistency is stewy. Remove the cinnamon stick and season with salt and pepper. Bring water to a boil in a small pot or tea kettle. Heat a small saucepan over medium-high heat, and add a splash of olive oil. Toast the couscous in the pan for about 2 minutes, add a pinch of salt and a pinch of crumbled saffron threads and water. Bring to a boil, then lower to a simmer, cover pan and cook for another 5 mniutes, until couscous is tender. Turn off the heat and keep pan covered for about 5 minutes, then fluff with a fork. Fold the almonds into the couscous and serve with the squash stew.